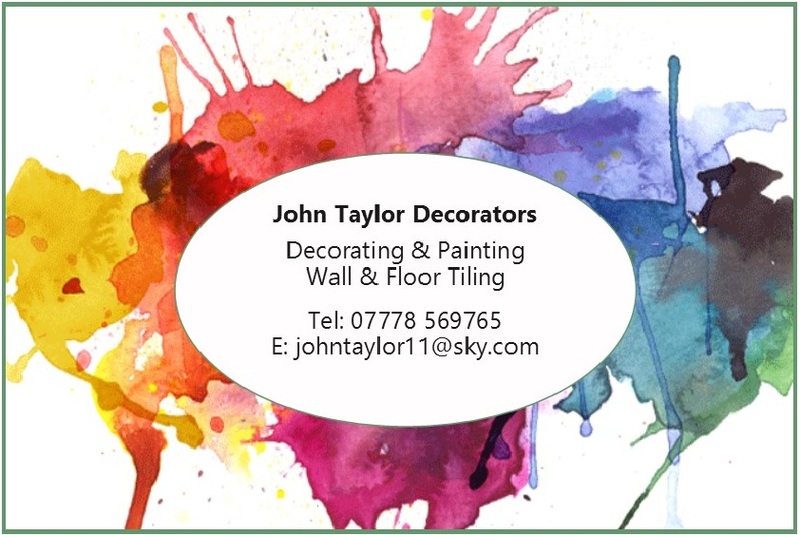 With over 15 years experience in the painting and decorating trade, John Taylor Decorators are not only skilled and practiced but also a local and friendly Cardiff business. Familiar with both modern and traditional styles, we can give your home the boost it needs this summer. From a fresh coat of paint to the new vibrant wallpaper you’ve had your eye on, a fresh look will brighten up even the rainiest day that may dampen our Welsh summer. Specialising in both interior and exterior decoration, all of your decorating needs will be met with proficiency – whether it be painting, decorating, glazing or wall and floor tiling. Although focusing on servicing homes and domestic spaces around Cardiff, commercial paintwork and decorating services are also available. We at John Taylor Decorators will even dispose of your old wallpaper and old decoration materials as a courteous part of the job. While more than happy to introduce new looks and styles, we will also simply refresh the familiar style of your home and refurbish what may be worn or faded through the comings and goings of family life. We take pride in being a part of how you make your property your home.